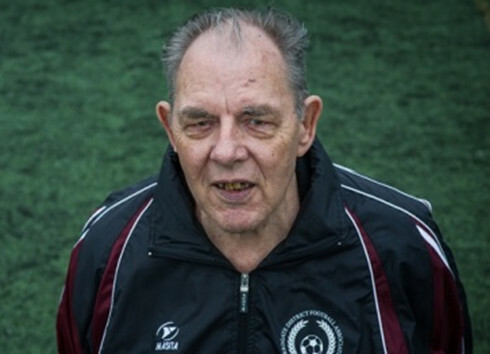 Having been involved with the sport in one capacity or another since 1955 – firstly as a player and then as an administrator in various roles – Joe Billington has devoted 60 years of his life to building grassroots football wherever in the UK he’s lived, with over 40 years spent as a Secretary for various clubs. Beginning his career at Blundell AFC in Liverpool, where he took up the roles of Assistant Secretary, Assistant Treasurer, Secretary and Chairman, all whilst he was still playing. He moved to Harrogate in 1976 where, for over two decades, he managed various groups at Pannal Sports whilst simultaneously undertaking the duties of Chairman and Secretary and still managing to play for the club’s open age team. Throughout this period, Joe also acted as the Treasurer for the Knaresborough Sunday League, Treasurer of the Girls League and the organiser of the Harrogate area U/10s league. Joe was Treasurer of the Harrogate and District FA for almost two decades between 1989 and 2007, when he became a Life Member of the club. Joe’s knowledge of grassroots football is second-to-none and his commitment and enthusiasm are still as present as ever, even though he’s been battling Parkinson’s Disease since 2002. His generosity is legendary amongst the teams he plays for, and in the past couple of years he has helped to organise kit and equipment to the Afrikids project and to a village school in The Gambia.